OTTAWA - One of Canada's longest peacekeeping missions will go on for another year. Five soldiers comprising a headquarters detachment for NATO's Kosovo Force, who were set to turn out the lights on the Canadian commitment in September, will be replaced by fresh troops. Defence sources tell The Canadian Press the military alliance has asked for another year-long commitment out of Ottawa, bringing the mission to a formal close at Pristina in September 2013. Their presence was symbolic when compared with the size of other overseas assignments, such as the 950-man Afghan training mission. Their now-delayed exit is steeped in significance because closing the Kosovo detachment brings to a complete end to the Canadian military presence in the Balkans — a mission that began in 1992. The army was laying down plans to commemorate the mission, which included peacekeepers engaged in heavy fighting in Croatia and the siege of Sarajavo. 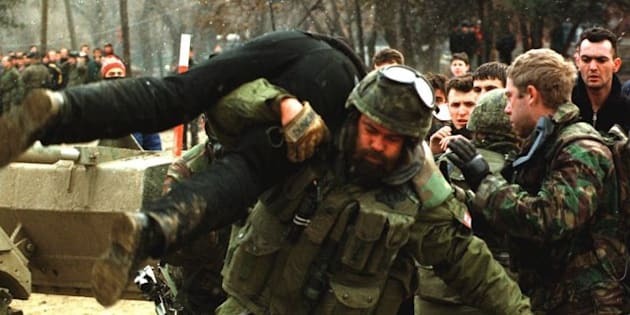 Although it was portrayed as a benign assignment, the peacekeeping mission in the former Yugoslavia has taken the lives of 23 soldiers. Who Gets The Most Canadian Foreign Aid?